Kristin Kimball was enjoying life as a Manhattan journalist, traveling the world, meeting different people, and studying different cultures through her investigation and writing. When she meets her soon-to-be fiance Mark, she adopts his farm-loving lifestyle in an effort to temporarily try something new but finds she prefers the physical labor and rewards of farming over the life she once knew. Kristin and Mark purchase Essex Farm in upstate New York and set about planting, raising animals, and becoming a CSA farm (community-supported agriculture). The couple milks their cows by hand, decides to use horses instead of traditional tractors for working their fields, and tries to do everything--including slaughtering their pigs--on their own. Kristin's story includes humor, friendship, and tragedy as she details the endless hours of tireless work it takes to run and sustain their farm while balancing their relationship. There have been a number of these green-living, farm memoirs as of late. Other titles include Louise Dickinson Rich's We Took to the Woods, Ellen Stimson's Mud Season, Tim Young's The Accidental Farmers, and best of all Barbara Kingsolver's Animal, Vegetable, Miracle: A Year of Food Life. Kingsolver's memoir is well-written, interesting, engaging, and inspirational. 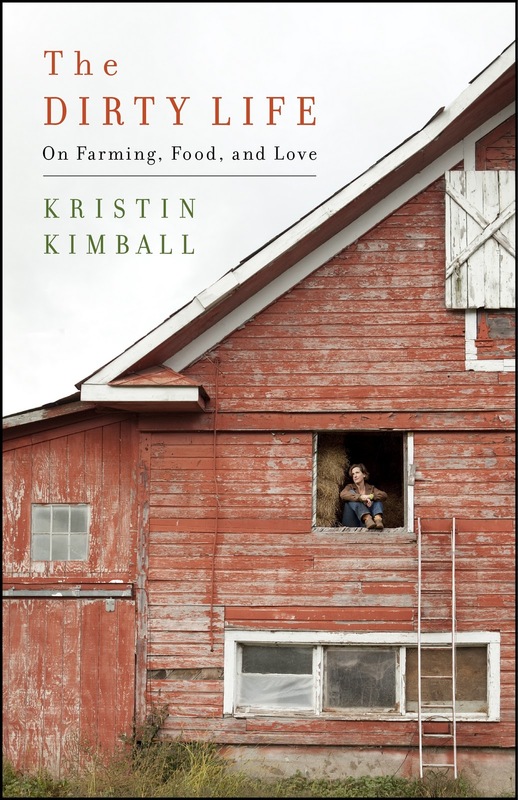 By far my favorite rural memoir, I could not help but repeatedly compare Kimball's writing and experiences to Kingsolver's and without question Kimball always came up short. If Kimball had changed the subtitle of her memoir to "On Farming and Food" and eliminated the storylines about her fraught romance with Mark, I would have liked it more. Her complaints about the ups and downs of their relationship and planning of their wedding may be true to life, but were far less engaging to read and I found myself speeding through these sections. The memoir is at its best when it focuses in on the physical and emotional labor of love she offers to Essex Farm, their animals, and their community.